Now here comes the best part! I am so excited to be part of the Jeffrey Court Spring 2019 Renovation Challenge. Jeffrey Court has the most beautiful tile and it’s available at Home Depot. I love their products and can’t wait to select the tile for my master bathroom remodel. There are twelve designers who are competing to win this Challenge and you can find information about all of the projects here. 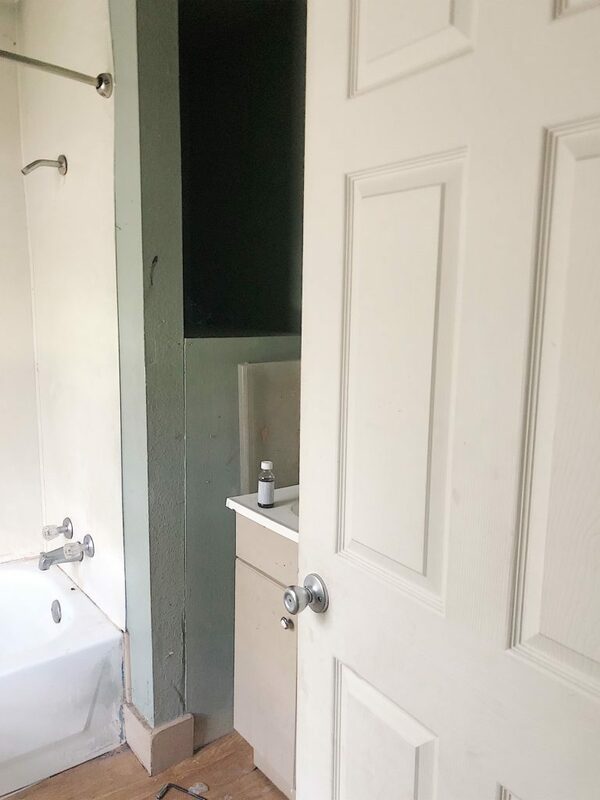 As a partner with Jeffrey Court, I will be sharing the progress on our master bathroom renovation over the next six weeks. Which, if you read between the lines, means we have to have this bathroom completely done in six weeks. As in completely done. Oh my, this might be a tiny bit stressful. Or maybe a lot stressful! 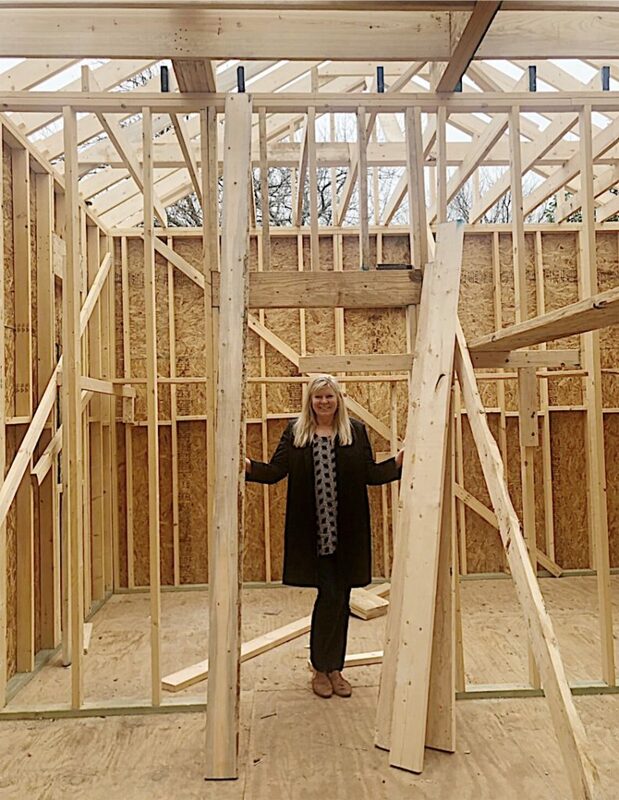 For the next six weeks, I will be sharing with you my progress which includes today’s before photos, plus inspiration boards, product selections, renovation challenges, installation, and the final reveal. Each week you will get the nitty gritty and probably a few panicked comments. But let’s all keep our fingers crossed this goes as planned. And finishes on time! 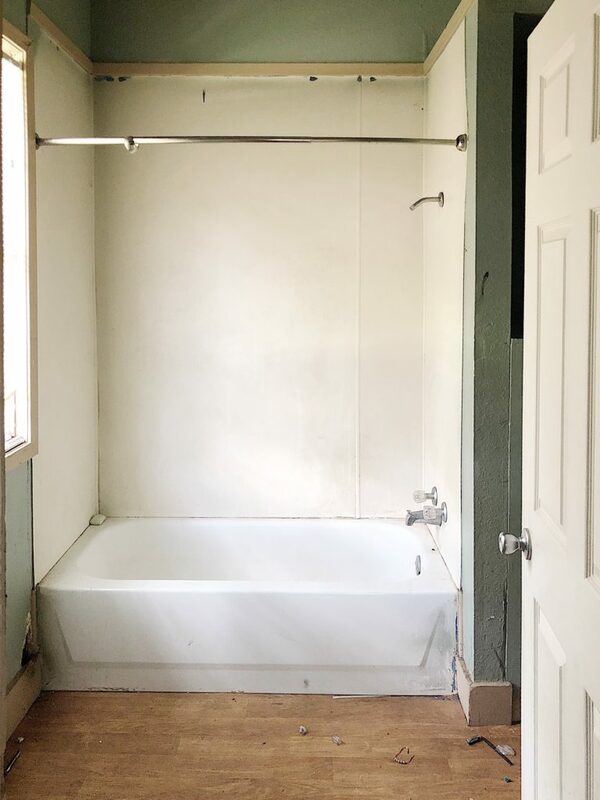 Let’s start with photos of what the only bathroom in Waco Fixer Upper home looked like. All I can say is it is good that the photos don’t include the smell of this room. It was unbearable and I am not going to say another word. I won’t even mention the rat droppings, animal hair and who knows what else was in that bathroom. At least it was a full bath, right? The bathroom was located at the back of the home so the first thing we did was demo it. Everything came out, down to the studs. 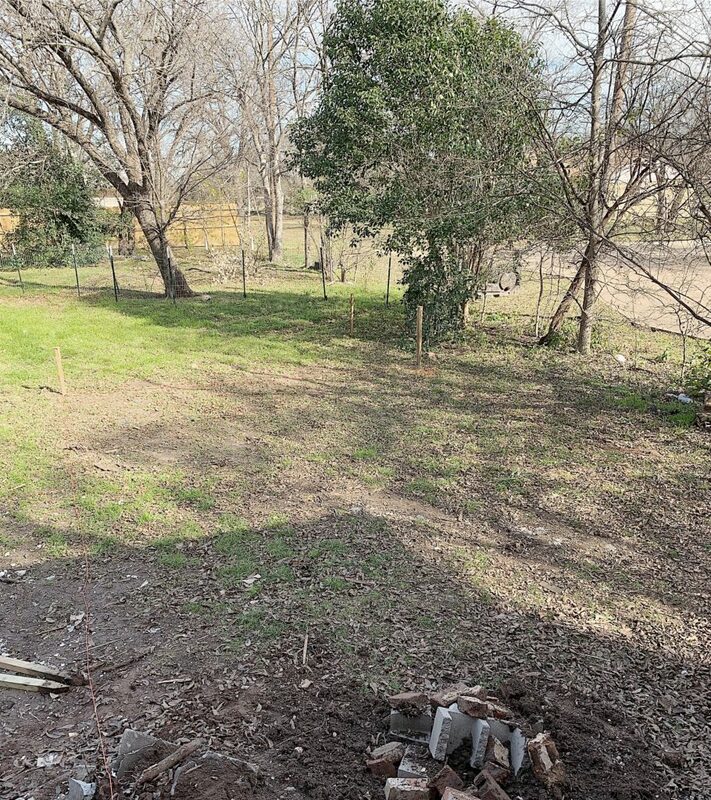 This is a photo of the backyard right behind the bathroom. And this is where we decided to add on the master bedroom and bathroom. The stakes in the ground show the footprint of the addition. 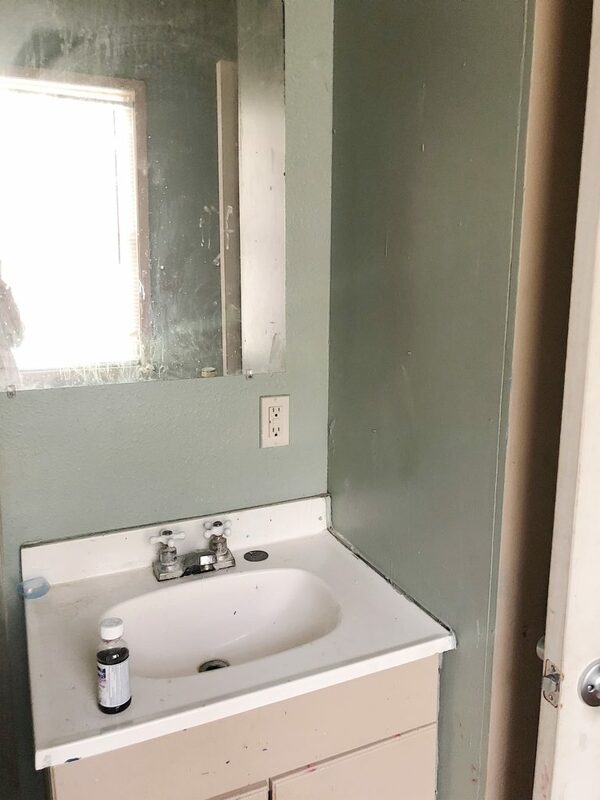 Can you tell how wonderful this bathroom remodel will be? 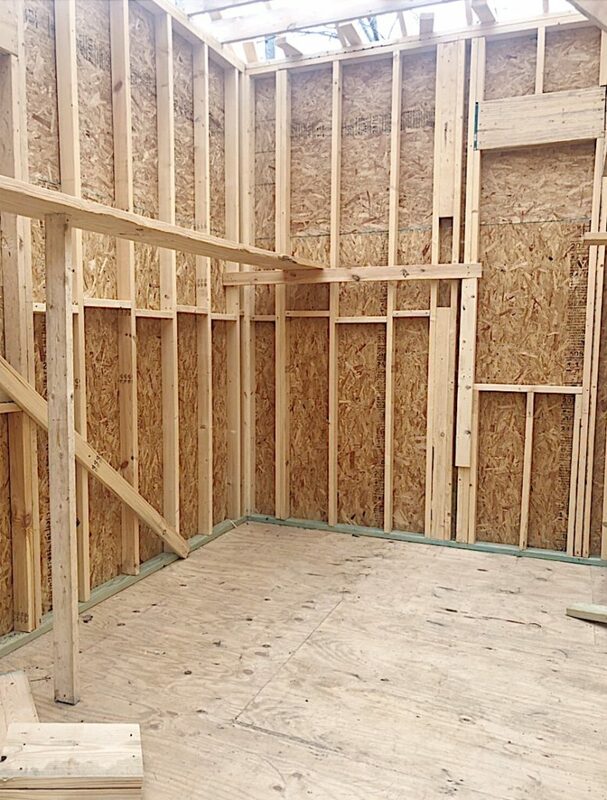 After we redid the foundation of the entire home, we started building the addition of the master suite. After a few delays, we framed out the bedroom and bathroom. This is the master bathroom. Don’t you just love it? The master bathroom runs along the entire back side of the master bedroom. 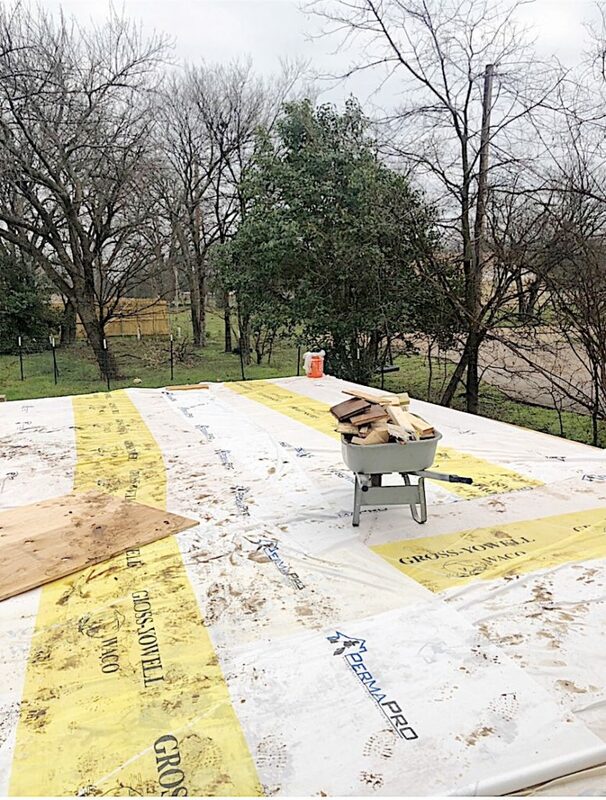 We rushed to get the roof on because there has been a lot of rain (and snow) in Waco this past month. 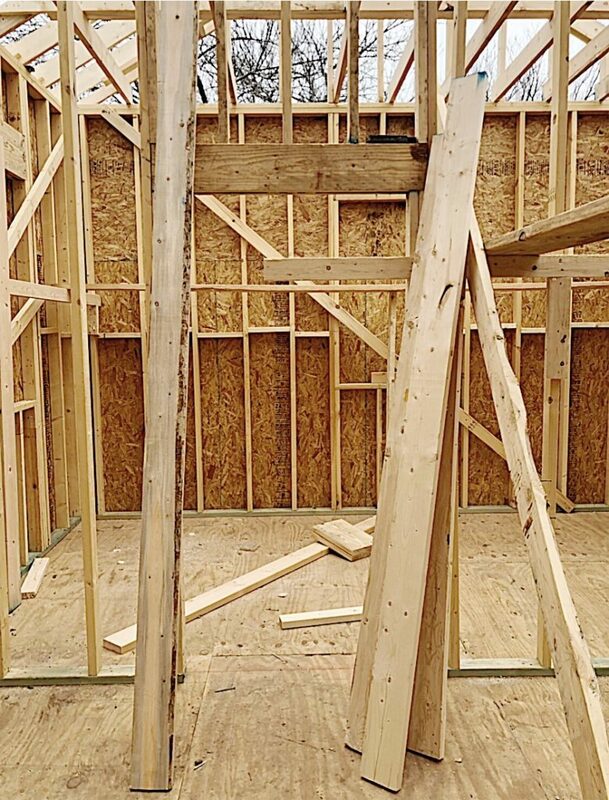 This is the entrance to the master bath from the bedroom. 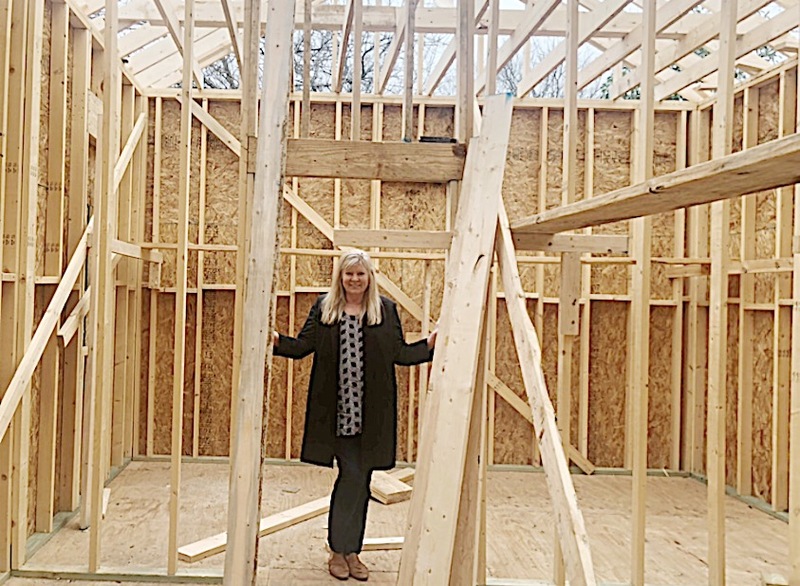 It is actually a very good size master bathroom. I am so excited to be a part of the Jeffrey Court Spring 2019 Renovation Challenge. Check back next week as I share my inspiration for finishing this bathroom remodel! I am boarding a plane soon for Texas. So there will be more progress coming soon. This is going to be so much fun. Glad we can tag along. Thank you for sharing!!!! What a stressful but fun project!!!! It is stressful but also very exciting. This is going to be fun to watch all the progress! I hope it is! JK. I can’t wait to start installing the tile. Thank you. I am so excited for this project! Can’t wait to see your inspiration boards for this space. Glad to be along for the ride. Thanks for sharing! Can’t wait to see what is next…and the tile selection! Can’t wait to see what you come up with!! You have very good taste in EVERYTHING you do!!! Kuddos to you! So glad the project started. I am excited for you! Leslie, I am so, so excited for you. I follow you on IG and remember when you first purchased this house & gave us a tour. I am not a professional by no means, but I saw so much potential in that house viewing your video. I am embarrassed to say, but this is my first time to your blog, but it certainly wont be the last. Not only am I excited about your remodel, but I so admire your many talents. You are so gifted. Thanks for allowing me to follow along. This is just awesome!! Quite challenging task, it is when it seems that the house model is entirely based previous century architectural principal. The renovation and maintenance will certain require a lot of time and but the execution will be perfectly fine and beautiful. Oh, thank you. It’s a bigger project than when we started but I am really excited. You are so sweet. Thanks Kerry. I will come if you meet me in Waco and help me. Haha.